In January, the new Mexican government launched its battle against fuel theft in the country, which has resulted in a fuel shortage, growing civil unrest, and an explosion that has taken the lives of more than a hundred people. 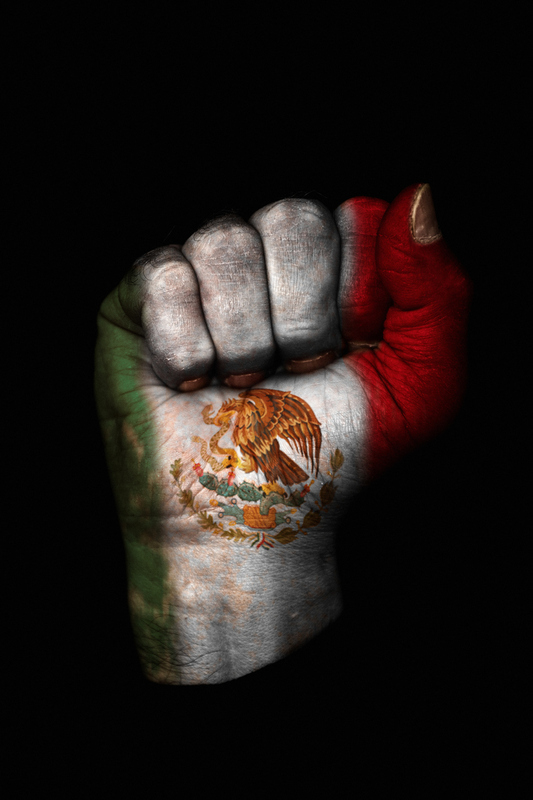 Over the past several decades, organised crime groups in Mexico have established their position as some of Mexico’s most powerful players with alleged links to state-run organisations and senior government officials. After a landslide victory in the July 2018 presidential elections, on 1 December 2018, André Manuel López Obrador (AMLO) officially took office as the 58th president of Mexico. Many commentators believe that AMLO won the presidency due to his political campaigns, which focused on the promise to crackdown on organised crime and widespread corruption in the country. Indeed, one of the first steps in the government’s newly asserted policy to combat criminal gangs, was to shut off many of the country’s fuel pipelines, which for a long time have been targeted by fuel thieves. Behind these fuel robberies are gangs of thieves, known in Mexico as Huachicoleros. For years, these criminal groups have targeted the thousands of miles of gas pipelines that run across the country, often through rural areas, from oil refineries to distribution points. The Huachicoleros have developed sophisticated techniques to steal gasoline: in order to manipulate the state’s supervisory control systems, while siphoning oil from the pipelines, water is injected into them, to keep the static pressure at normal levels. The stolen fuel has created a black market across the country, mostly across the rural communities in which the Huachicoleros operate. In order to understand the gravity of the gasoline theft in Mexico, its impact on the economy and its importance to the new government, one must first understand the numbers: Octavio Romero Oropeza, the newly appointed CEO of the Mexican state-owned petroleum company, Petróleos Mexicanos S.A. de C.V. (Pemex), reported earlier this month that in 2018, a daily average of 58,200 fuel barrels were siphoned from the company’s pipelines, a consistent increase from the 43,400 and 26,000 in 2017 and 2016, respectively. In terms of monetary value, according to AMLO’s statement on 6 January, in 2018 fuel robbery cost the Mexican government over MXN 60 billion (approximately USD 3.14 billion). On 18 January, hundreds of residents from the poverty-stricken municipality of Tlahuelilpan, 100 kilometres from Mexico City, rushed to a puncture in the Tuxpan- Tula pipeline connected to a nearby refinery run by Pemex, with containers in hand. An explosion in the pipeline occurred, causing a fire, which left at least 109 people dead and dozens injured. This incident, considered to be the biggest disaster caused by fuel theft in Mexico’s history, has started a national debate regarding the efficiency and consequences of AMLO’s policies. It should be noted that apart from shutting down the pipelines, AMLO’s fight against the Huachicoleros has also taken other forms. According to AMLO’s statements, the criminal groups’ extensive access to the country’s oil, sometimes directly from Pemex’s refineries, has been enabled as a result of inside collaboration with corrupt officials working for the state-owned company. AMLO’s decision earlier this month to deploy armed forces in key areas of at least 11 Pemex facilities in different parts of the country was taken as a result of this internal corruption. On 15 January, Alejandro Gertz Manero, Mexico’s newly appointed Attorney General, stated that the Attorney General’s Office (Procuraduría General de la República) had already launched an investigation into three ex-employees assigned by Pemex to monitor the pipelines, due to their probable involvement in fuel theft. January has also proven to be a troublesome month for Mexico’s former president Enrique Peña Nieto (EPN) and associated government officials. Two months into the trial of Joaquín Archivaldo Guzmán Loera, Mexico’s infamous drug kingpin, otherwise known as El Chapo, a witness has claimed that Guzmán paid USD 100 million in bribes to EPN in 2016. The witness statement, before the US District Court for the Eastern District of New York, was made by Alex Cifuentes Villa, a Colombian drug lord who worked closely with Guzmán between 2007 and 2013, when the latter was hiding from the authorities in the Sierra Madre mountains. Francisco Guzmán, EPN’s former chief of staff, rejected the allegations on Twitter, adding that it was EPN’s government that detained and extradited Guzmán. EPN, however, is not the only official who has been accused of corruption this month. On 24 January, following his previous announcement regarding the three ex-officials in Pemex, Alejandro Gertz Manero, announced the opening of a new investigation into what is known in Mexico as the Master Scam (La Estafa Maestra), a corruption case that implicates federal government officials from various state agencies. The case was first made public in September 2017 by a local anti-corruption NGO known as MCCI (Mexicanos Contra la Corrupción y la Impunidad), and was based on investigations carried out by the local media outlet Animal Político. According to the allegations, during EPN’s administration, from 2012 to 2018, government officials diverted MXN 7.67 billion (approximately USD 420 million) through the use of hundreds of front companies. On the same day as Manero’s announcement, AMLO ordered the country’s Secretariat of the Civil Service (Secretaría de la Función Pública) to publish, by the end of the month, the conclusions of its investigation into the three officials currently working at Pemex. The suspects, who have allegedly been involved in acts of corruption relating to La Estafa Maestra have been identified as: Miguel Ángel Lozada Aguilar, director of production and exploration; Héctor Salgado Castro, deputy director of operations and commercial coordination; and Luis Galván, manager of operations and financial control. On 28 January, AMLO stated that his fight against fuel theft has already proven successful as the fuel theft daily average in January decreased by 65 percent compared with November 2018, reportedly saving the government MXN 5 billion. The announcement of the new investigation into La Estafa Maestra has caused discomfort among public officials in state-owned entities, including Pemex. AMLO’s opponents, including former president Vicente Fox, who AMLO implied was in support of the fuel theft during his administration, have claimed that AMLO is leading a “witch hunt.” However, while the new administration’s battle against organised crime and corruption has only just started, it appears that the shift in policy may represent an opportunity for the Mexican economy to gain some much-needed legitimacy, which for decades has suffered from the negative consequences associated with rampant corruption and organised crime. This article was first published in January’s issue of the Financial Crime Digest, which can be found here.